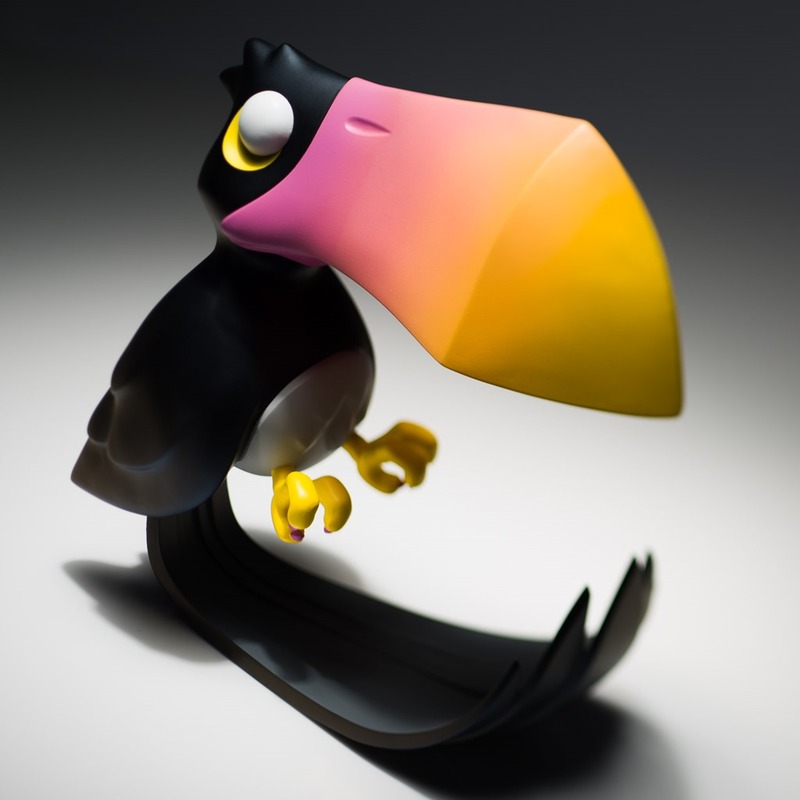 First shown back in late April at the Thailand Toy Expo, Coarse’s Cancan has made the flight from sculpture to vinyl to be released online on January 5th 2016. 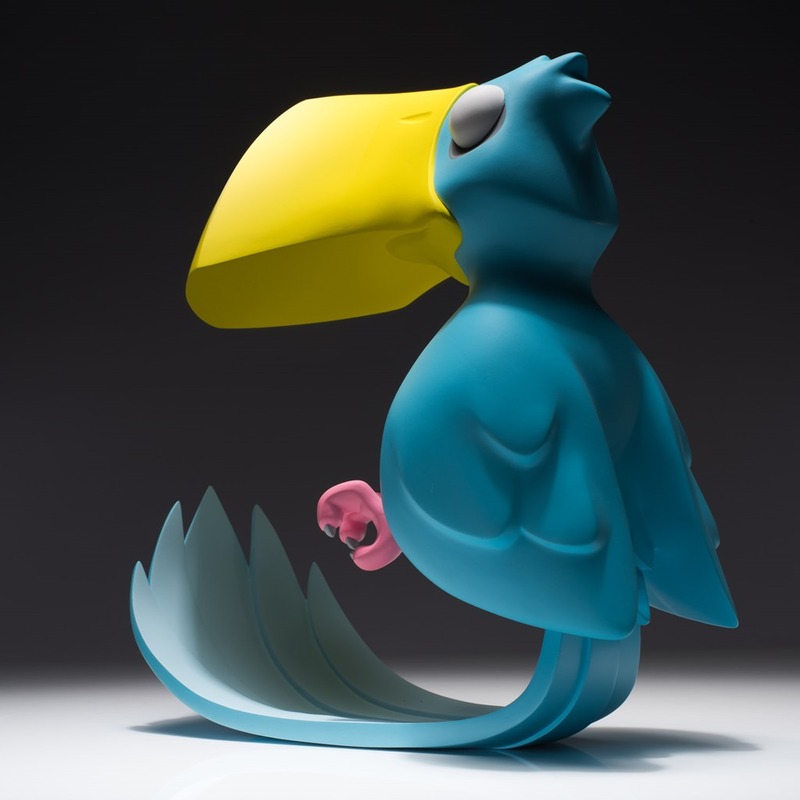 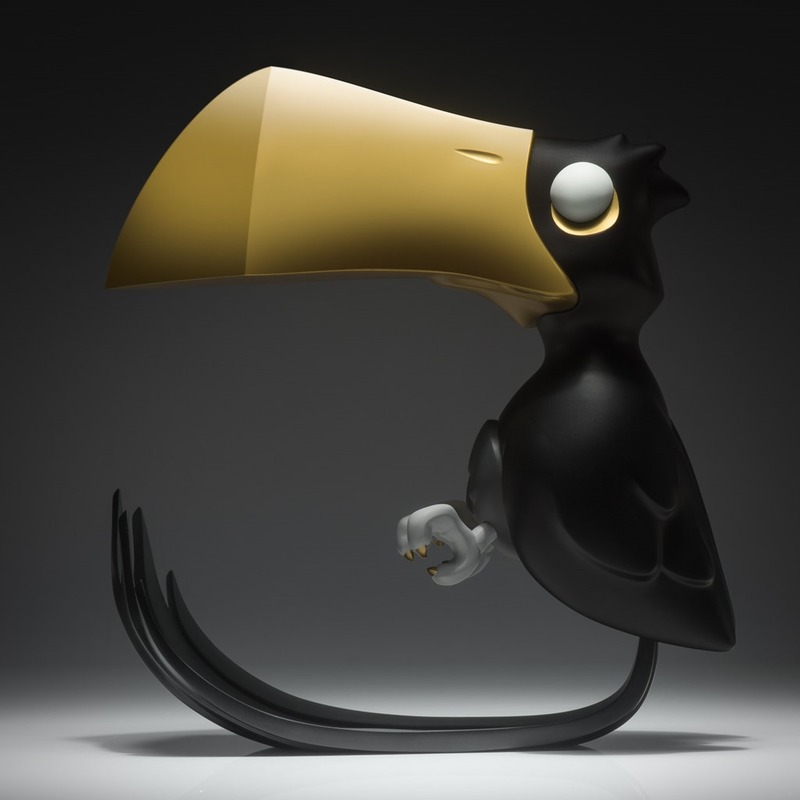 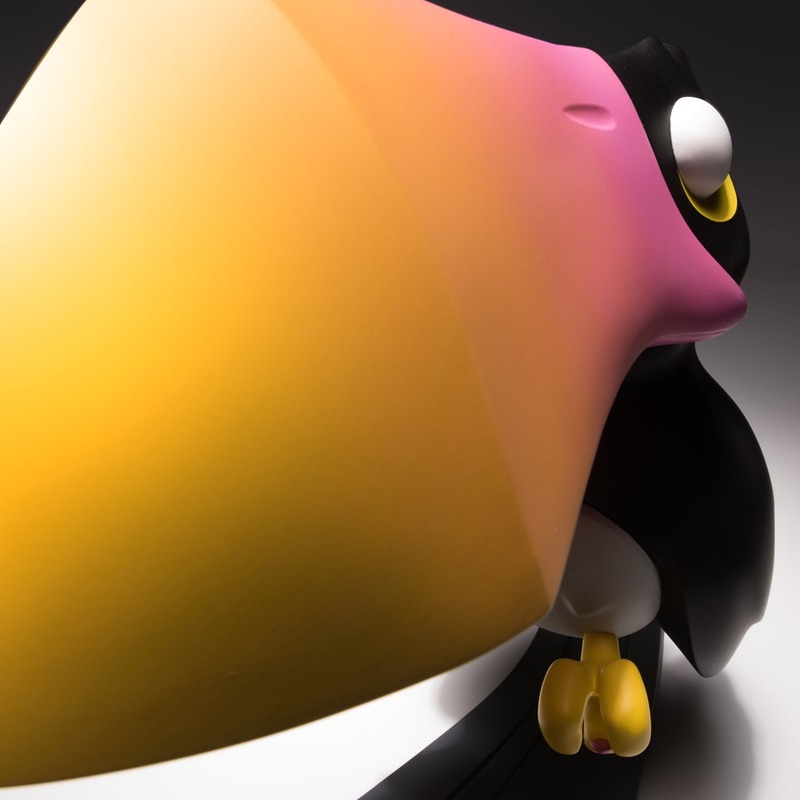 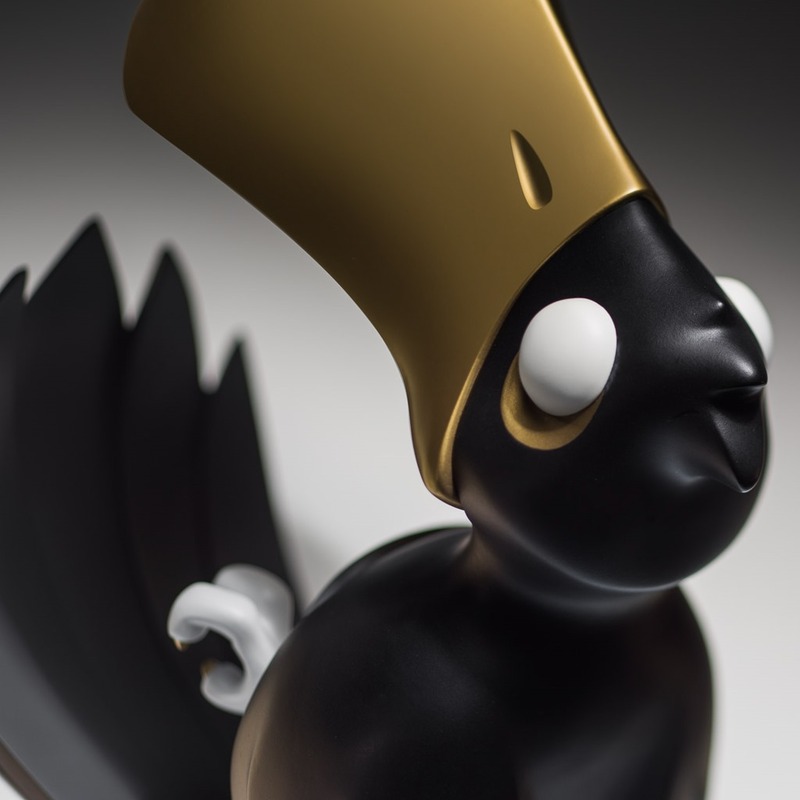 The result of Coarse’s desire to make a figure that seemingly floats in the air, the toucan-inspired figure (9”) rests perched on its tail with its clenched claws grasping for a past that has slipped by. 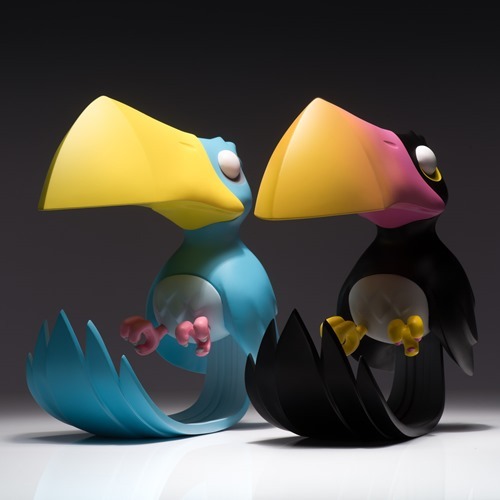 Cancan will be released in three editions—each limited to 345 pieces—Saudade (blue+ yellow), Velórios (black + orange/pink) & Mágoa (black + gold). 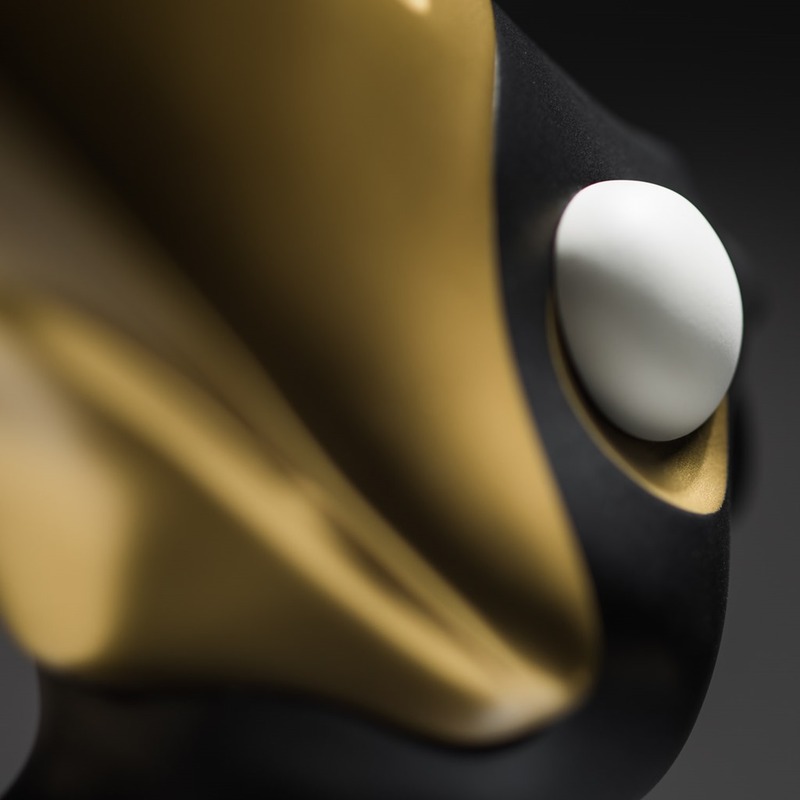 Cancan will be released on January 5th 2016 at 7:59 AM PST via Coarsehkg for $149 each or $386 for a set of three.